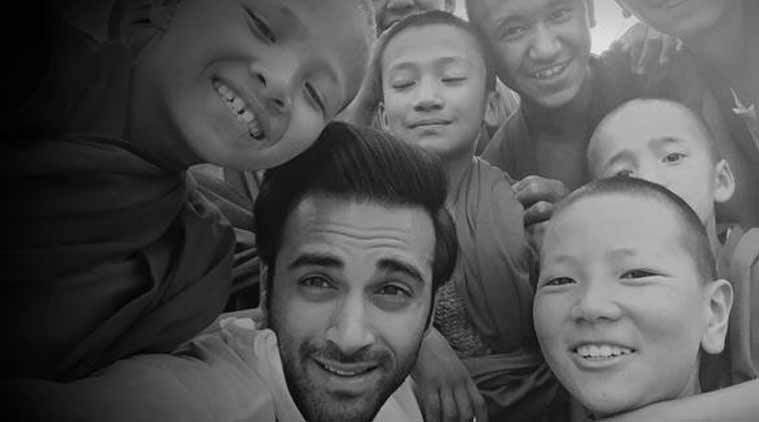 Pulkit Samrat, who rose to instant fame with the movie 'Fukrey', seems to be extremely popular among the kids. Pulkit Samrat, who rose to instant fame with the movie ‘Fukrey’, seems to be extremely popular among the kids. Recently, when the young actor was shooting in Ladakh for Divya Khosla Kumar’s ‘Sanam Re’, he got surrounded by his young fans. Pulkit clicked lots of pictures with them and also put them up on his twitter account. ‘Sanam Re’ also features Yami Gautam and Urvashi Rautela.